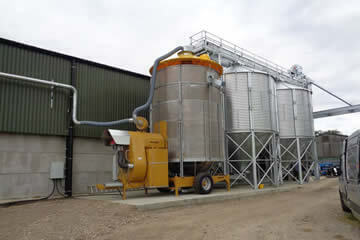 We can provide a vast array of grain handling and storage solutions for your business. From grain handling equipment that can move grain across your site to grain silos and freestanding grain walls, McArthur Agriculture works closely with the customer to find exactly the right products for their requirements. 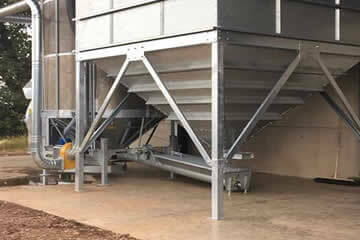 Browse our grain handling and storage solutions below for more information. If you have any questions or are unsure which option is best for you, enquire using our contact form or call us today. Grain handling equipment can move grain across your site, eliminating re-handling and maximising the capacity of your grain stores. We can work with you to install a simple yet effective system that will give you the most for your money as well as save you valuable time at harvest. Grain silos offer cost-effective grain storage whilst providing optimum storage conditions for your harvest. Available from three to 27m in diameter, McArthur Agriculture can supply an extensive range of hopper bottom silos, flat bottoms silos and smooth wall silos. 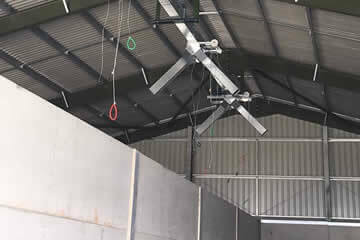 A grain hopper will speed up filling your grain drier, making loading simpler and saving you time. A range of strong and durable grain hoppers are available to suit your mobile grain drier, providing a cost effective solution. 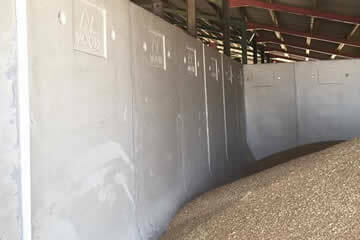 Freestanding grain walls create temporary grain storage bunkers that can be re-located or adjusted to your requirements. They minimise the hassle of storing bulk materials and feature forklift recesses for easy re-positioning. A unique shape allows for load bearing in both directions. Grain store management equipment ensures you know the condition of your grain in store and can control conditioning systems. 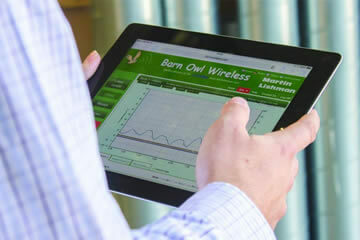 Thanks to wireless remote monitoring, our grain store management can deliver the peace of mind of knowing exactly what is happening in your grain store.